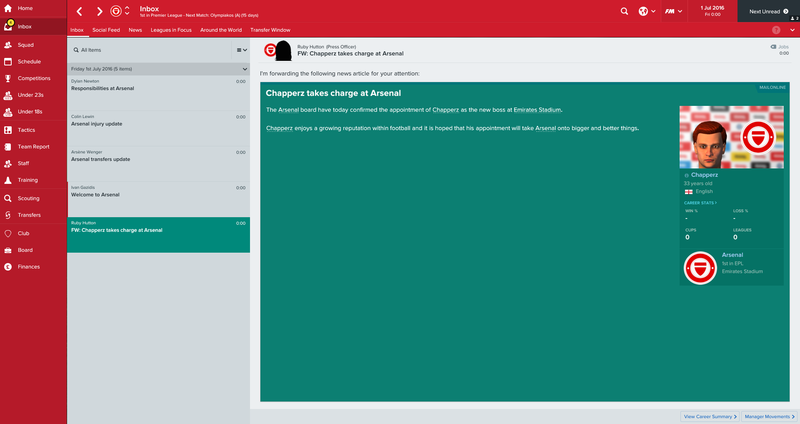 It’s been eight long years since I’ve had a successful and enjoyable Football Manager save as Arsenal. In that time I’ve managed to have fun and win with teams such as Everton, Newcastle, Foggia, Celano, Tiverton Town and even West Brom. West Brom! Theoretically, it should always be a very easy start; plenty of cash, good youngsters and staff and at least a decent first team squad. But somehow it’s never fun and I always walk away before Christmas. 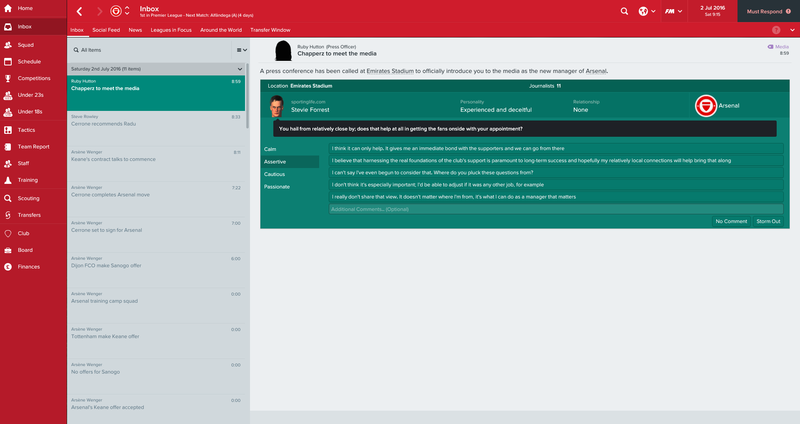 But every time a new FM comes out, I can’t help but give it a try. I am after all an Arsenal fan, and, as the game points out, “relatively” local.